Rotary ThinThaiNgam held a “Dam Hua Ceremony” at their weekly Rotary club meeting of at Grandview Hotel on April 18, 2013. They were joined by their elder brothers (Rotarians) who helped Chiang Mai ThinThaiNgam start out to celebrate what is now their 20th anniversary. 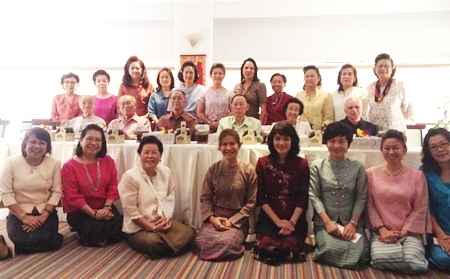 Charter President Prapin Karchai joined the group, she started the first women’s lunch for the Rotary Club 20 years ago with 31 members and the club is still going strong with 33 members. 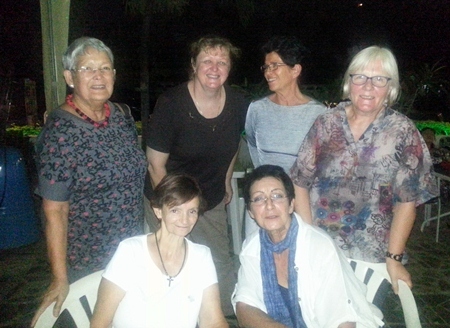 The Swiss Lanna Society meets weekly at Why Not Restaurant on Nimmanhaemin Soi 11. Swiss residents meet to chat and dine every Wednesday. The Swiss Lanna Society was founded last year to give the growing number of Swiss expats residing in the North a chance to get together. Here the ladies of the Swiss Lanna Society at one of the dinners. For more information see their website: www.swiss-lanna-society.com. 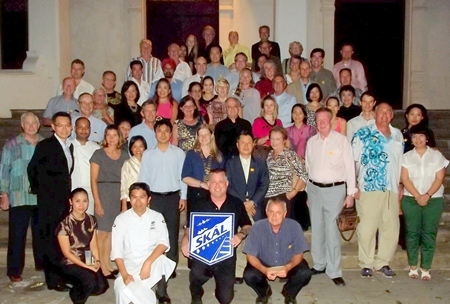 Skål International for Chiang Mai and the North held their monthly meeting at the Fujian Restaurant at the Mandarin Oriental Dhara Dhevi on Thursday, April 25, 2013. Chinese Consul Liang Lin spoke on Chinese tourism at the meeting and subsequent dinner. Skål holds monthly meetings and dinners with a different speaker focusing on important travel and tourism issues. The next meeting will be held on June 1 at the Legend Chiang Rai Resort in Chiang Rai. Further details online at http://skalchiangmai.com/. (Photo courtesy of Jaffee Yee).